those to another user or group. The idea behind it is to start on the left side, set those permissions, and then you’re free to apply those permissions to any user or group on the right side. So, for example. 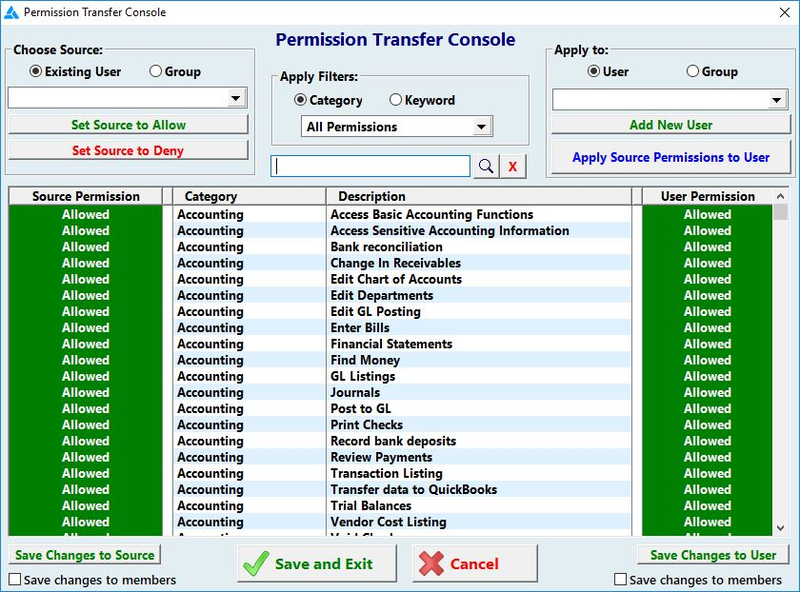 On the left side, under Choose Source you would select the group whose permissions are set the way you want them. On the right under Apply to: you would select the user/group you want to apply these permissions to. Then you'd click Apply Source Permissions to User to actually set them. This part of the password system can be complex. If you have questions about it, feel free to call Frazer at 888-963-5369. We’ll be more than happy to assist!